Handmade Detroit | Hey, Let’s Go Shopping! Yesterday, I told you about the Merry Market happening at The Detroit Mercantile this weekend on both Saturday & Sunday, but wait…there’s more! There are also four MORE shows we love are happening this weekend! 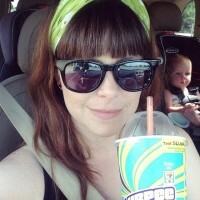 Time to gear up for some SERIOUS indie shopping, here. 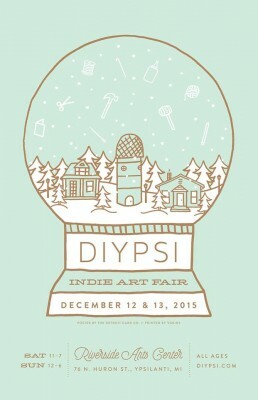 First up, DIYpsi is hosting their holiday edition of the fair! Saturday 11-7 and Sunday 12-6 at the Riverside Arts Center, DIYpsi will be hosting over 80 indie crafters, both from Michigan and beyond + local food, coffee and beer. $1 admission, for more info, visit their Facebook event page. If you are at DIYpsi, swing over to Tiny Expo too! 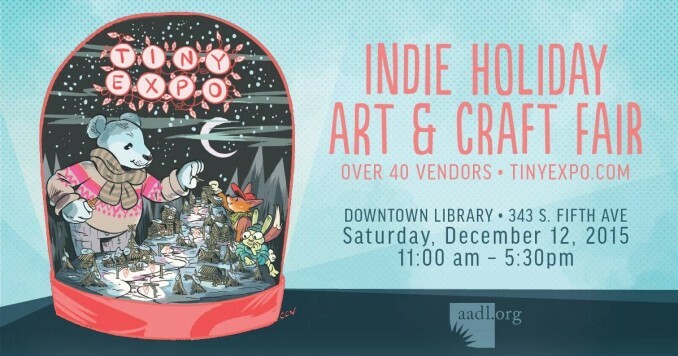 Held in the Downtown Branch of the Ann Arbor District Library, Tiny Expo will have 40+ local artists & makers, plus a number of free make & takes and demos that are great for both kids and adults. Free admission too! Tiny Expo is only on Saturday from 11-5:30, lots more info on their website. 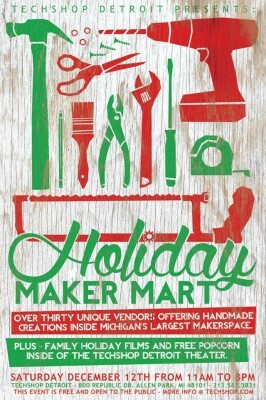 Also only on Saturday is TechShop Detroit’s Holiday Maker Mart, from 11-8. It is free to shop + watch classic Christmas movies and snack on free popcorn too in their theater! 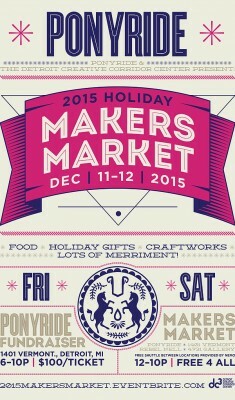 There will be over 30 makers to shop with, and they will be giving tours of TechShop all day, too. More info on their Facebook event page. Last one! Ponyride’s Maker’s Market is also Saturday from 12-10 at Ponyride, the Ford Resource & Engagement Center and Rebel Nell, with a shuttle bus to take shoppers from one location to another. There will be over 50 crafters there and other fun activities for families as well. Check out the whole vendor line up and shuttle info on the Ponyride website. Happy shopping & thanks to everyone supporting all these local artists, crafters and makers!